Traffic congestion is a severe impediment to freight logistics efficiency. Economic growth can effectively increase congestion as consumers use their added buying power to purchase cars, household appliances, and merchandise, all of which induce greater traffic flows. Countries struggle to keep pace with induced traffic flows as the planning process for improved roads and transportation systems do not allow for an immediate response, at least where capital investment is concerned. Large-scale capital projects, such as new ports and corridors or improvements to them, can take several years from concept to construction completion. 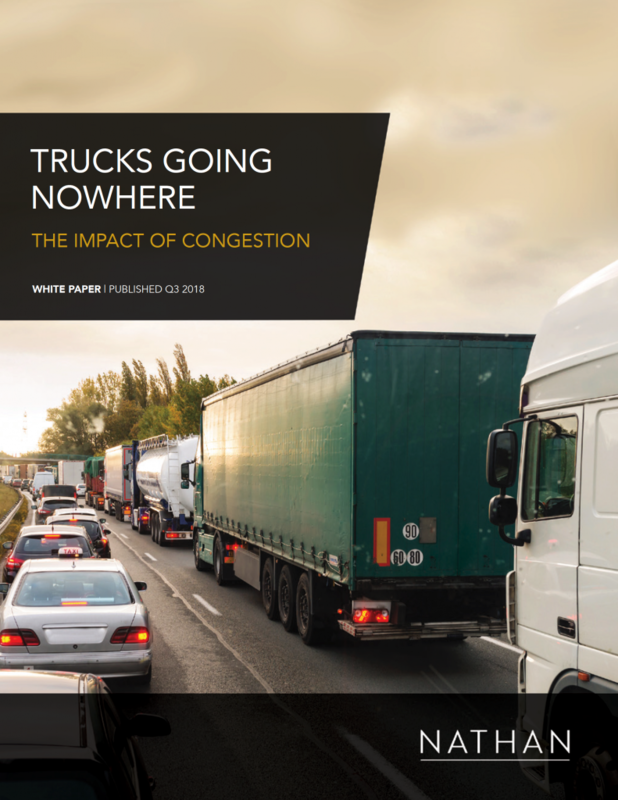 The trucking industry is especially vulnerable to the impact of congestion as its costs increase relative to more fuel consumption, added labor costs as delivery times increase, more wear and tear on trucks, and equipment utilization inefficiency. Additionally, driver availability for deliveries also decreases as more hours are required per shipment while extended delivery times bear the risk of exceeding the maximum driving time governed by a country’s hours-of-service rules. Trucking companies thus resort to team driving (e.g. two drivers in the same cab for the same delivery) or increase delivery times to their customers due to mandatory driver rest requirements. Delivery delays in turn also create inefficiencies and higher costs in other logistics arenas, such as inventory and warehousing. The PDF of this paper is available on request; please fill out the form on this page and it will be emailed to you.